How Can I Make Some Legitmate Money Online? If you’re willing to do a little work and are persistent with some of the opportunities available, there is money to be made online. 20/20 Panel: Be Paid to Share Your Opinion! Register with them and you will receive invitations to take “screener” surveys. When you match the demographics that they want to survey, you will be invited to participate in a study. You’ll be giving your opinion, experience and insight to companies – and be paid for your time. Register and become a member of the Pinecone Research Panel. When you’re sent “screener” surveys and match the surveyor demographics, you’ll earn $3 to complete a study. Not everyone who applies is chosen and surveys can be infrequent. Accepts all applicants, surveys vary in compensation and frequency. Get paid for your opinions and participation in surveys and/or product testing. Screener surveys will be sent to you which can lead to paid surveys and product testing. Sweepstakes and other rewards are earned through your participation. Type in the ISBN of the books you have. If they are worth cash from Cash4books.net, box ‘em up, print a free shipping label – and then, you’ll get cash! Your photos, “Frugal Life Essays” and/or entries in their Pet Contests, Recipe Contests, and Tip Contests could win you $25! 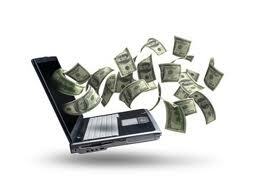 These sites vary in their requirements as far as writing guidelines and payment. Most have tutorials and communities ready to help get you started. Again, social media contacts help with this – as you’re paid more when you’re read by more viewers. 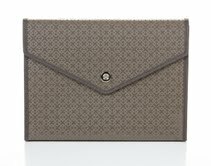 Share A Good Deal with Friends – Earn Shopping Credit! Sites such as Mamapedia.com, ebates.com, the survey sites above and service/retail companies may offer you the opportunity to earn “referral” credits when those you refer sign up (and usually make a purchase). Using social media and your social circles, (with etiquette) share good deals you’re finding with your friends! What’s new about Propel Zero? We’ve taken out the calories while keeping the same great, natural fruit flavor, offering a great way for active women and men to replenish (vitamins C & E), energize (B vitamins) and protect (antioxidants) their bodies. Propel is giving away 3 million samples of new Propel Zero at Walmart stores across the country from March 19 – April 24. Click here to find the Walmart in your area. 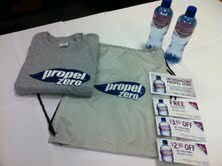 On April 29th Propel is selecting one winner at random from their Facebook page to win a year's supply of Propel Zero! *Subject to Official Rules at Facebook.com/propel. No purchase necessary. Internet access required. Void where prohibited. Game ends April 29, 2011. WIN: 24/7 MOMS and Propel are giving away 10 Lucky Winners a Propel Zero Gift Kit which includes; 2 - 20 oz bottles of Propel Zero, a Propel Zero t-shirt and 3 coupons for a free single-serve Propel Zero in a drawstring backpack. Q: What jingle comes to your mind? Hum or whistle it right now and see if others can correctly guess it! Q: Why is a violin like an automobile? A: It's best when it's tuned up. On-the-go kids mean on-the-go taxi driving moms who spend half their lives living in their cars, taking their adorable children from one activity to the next. This often results in a car filled not only with children but litter, remnants of clothing, sports equipment, books and other miscellaneous items creating a disaster on wheels and possibly leaving an over-driven taxi driver feeling less organized in her car then even in her home. *Each week Trisha Blogs on SC Johnson Family Economics website as a paid writer be sure to read her weekly organization articles. 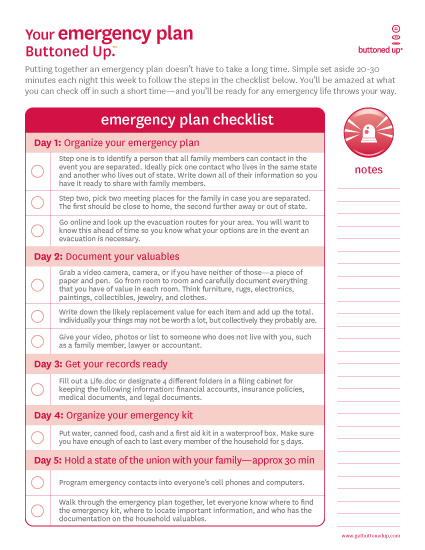 Putting together an emergency plan doesn’t have to take a long time. Simply set aside 20-30 minutes each night this week to follow the steps in the checklist from Buttoned Up. You’ll be amazed at what you can check off in such a short time—and you’ll be ready for any emergency life throws your way. 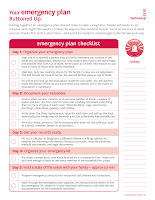 Click here to download your Free Emergency preparedness kit from Buttoned Up. DEAL: Today pay $3 for a Watch Me Grow - growth chart kit. They Grow Fast! Record their growth and relish the memories. Their first steps, birthdays, and milestones can escape our thoughts so quickly. Measure their accomplishments as they grow. This growth chart kit comes with the vinyl lettering numbers (2-6) and football or butterfly and the 3x3 wood topper. Mount it to a board or place it right to the wall. Don't wait until the time has passed. They grow so quickly. When the mood strikes, new LEAN CUISINE® Spring Rolls offer a snacking experience you can enjoy at the office or at home. Packed with 100 percent white meat chicken, melted cheeses, crisp vegetables and flavorful sauces, LEAN CUISINE® Spring Rolls make it easy to snack deliciously and satisfies anytime snacking needs. 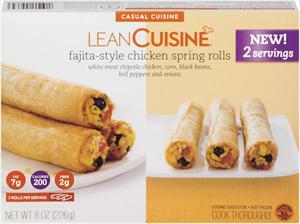 Each LEAN CUISINE®Spring Rolls variety offers a perfectly portioned snack with three rolls per serving. There are two servings per box with 200 calories per serving. New varieties include Garlic Chicken, Thai-Style Chicken and Fajita-Style Chicken Spring Rolls available in the freezer section of supermarkets nationwide. WIN: 24/7 MOMS and Lean Cuisine are giving away 6 VIP coupons, each coupon is good for a complimentary Lean Cuisine entree worth up to $3.99. US entries only and one entry per person. 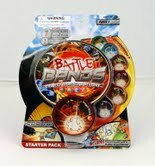 Winner will be chosen on April 9, 2011. **We received a complimentary Lean Cuisine Spring Rolls for review no financial compensation was received. Drum roll please...... this weeks MOMTOURAGE Winner is Barbara Platt. This weeks giveaway was the Milly Stuffed Toys. Thanks MOMTOURAGE moms for shouting out about us this week. Be sure to enter this weeks contest beginning today. Winners be sure to email us at win247moms@gmail.com with your shipping information. 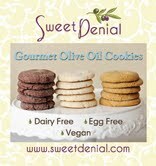 Click here to visit Sweet Denial's website. Click here to visit Carolina Pad's website. Click here to visit Boba Carrier's website. Click here to visit Frecklebox website. 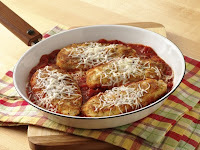 Click here to visit Lean Cuisine's website. Click here to visit Senario's website. Q: Who's the jolliest person you know? Describe him or her. Q: What would you get if you crossed a stereo with a refrigerator? 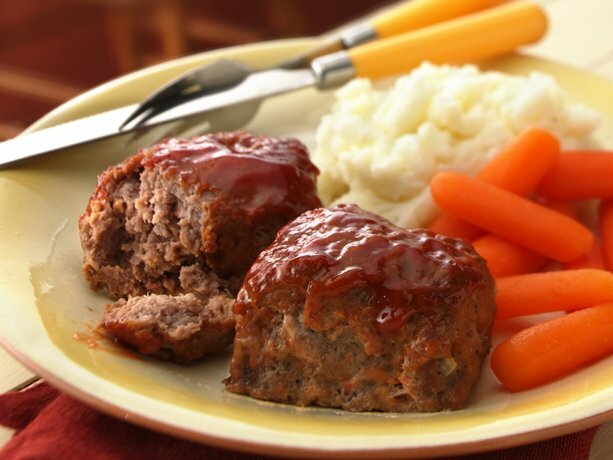 Serve up a topsy-turvy dinner to throw your kids for a loop: bake meatloaf in a 12-cup muffin tin and frost with mashed potatoes for a "cupcakes" dinner -- bonus if you add food coloring to the spuds. Then toast strips of pound cake for a dessert of "French fries". Don't forget red-tinted frosting for ketchup! Bunch up TP and stuff it in the toe of the victim's shoes. They'll wonder why their shoes suddenly don't fit. Decorate your home with words and reminders to your family of what they mean to you with this FREE printable art piece from it works for me. 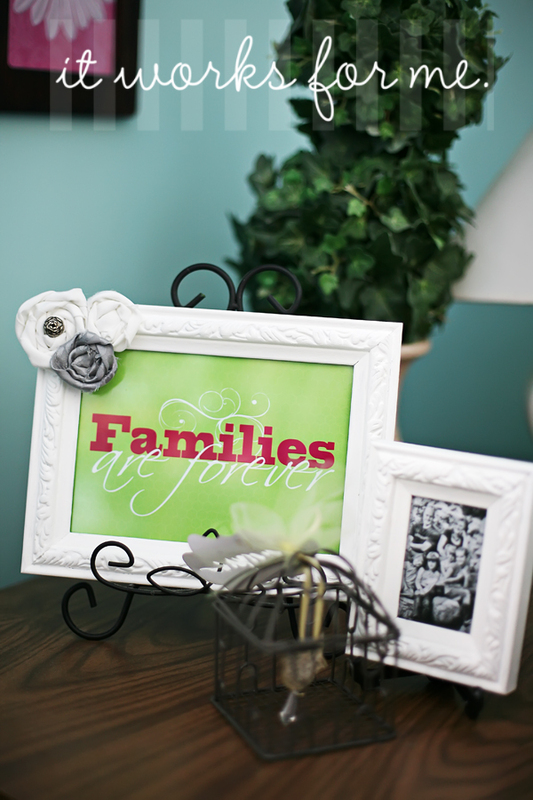 Click here to get your FREE printable Families Forever art. 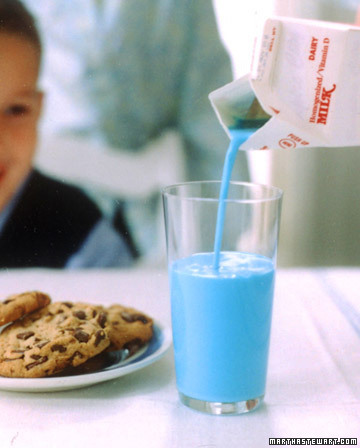 There are so many things out there that entice kids into eating unhealthy. From fast food restaurants to the commercials on television. It seems as though we are fighting a losing battle. How can we compete with the little toys in the kid’s meals or the colorful animated figures telling even our smallest kids what they should like to eat. There are a few things you can do to encourage healthy eating. If they start out healthy they are more likely to make healthy choices as they grow. · Find the one or two vegetables that your child does like and be sure to serve it often. At this point we have a five year old who loves corn, peas, carrots (raw), and green beans. She’ll also eat broccoli and cauliflower, but only in its raw state with a little ranch dressing. If you’ve only served canned vegetables, try fresh or frozen. Give a small portion and ask them to try one bite. You never know, they might finish and ask for more. · Lead by example. You can’t expect your children to enjoy a healthy diet if you don’t. Kids do what their parents do. · Cook at home. Cook at home. Cook at home. This will save you money and be much healthier than eating out. · Limit fast food to once a week. 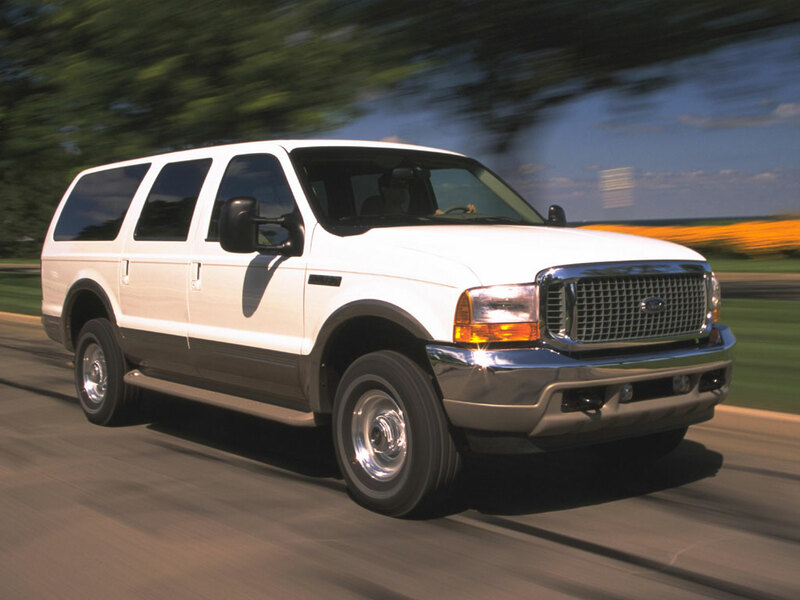 If you hit the drive through because of a busy schedule. Please take a few minutes to make sandwiches and take them with you. Put each child’s lunch in a small brown paper bag and they will enjoy it just as much. · If you don’t want them to eat it, don’t buy it. Having bad food in the house is an open invitation to your children. 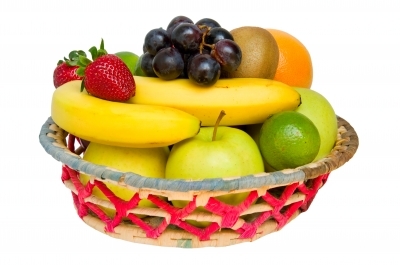 · Have plenty of raw vegetables and fruits available as a quick snack. 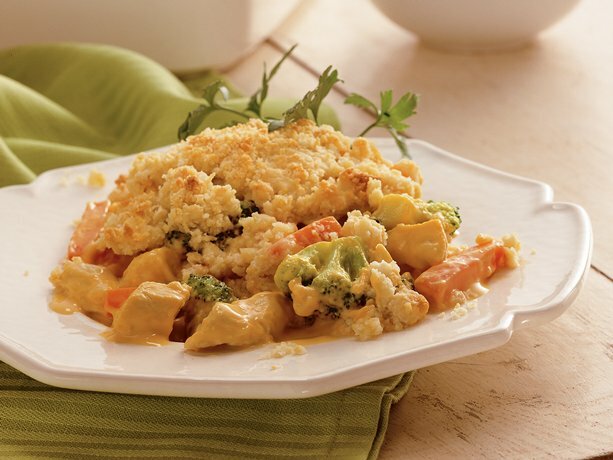 · And it you have to grind up cooked vegetables and add them to sauces, soups or meatloaves. · Read labels. 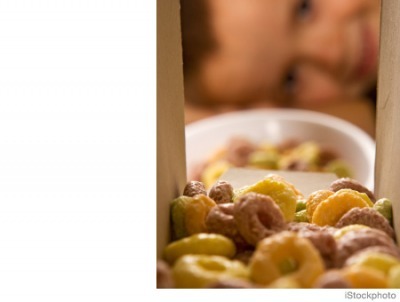 Most breakfast cereals have more sugar in them than you will want your child to have. We’ve noticed that the cereals with the most colorful pieces will cause our little one to be very naughty. 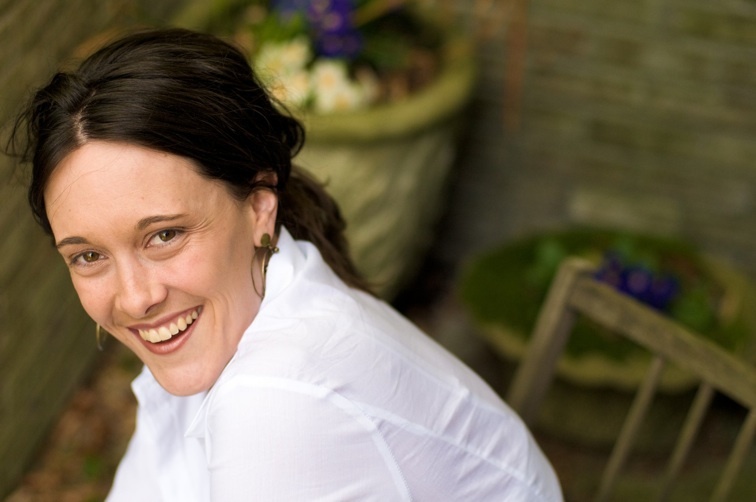 Kathy McHenry, founder and CEO of www.MyOnlineMeals.com has helped thousands of people put a real dinner on the table. 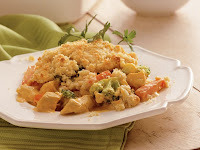 Go to www.MyOnlineMeals.com to receive a free weekly recipe list and shopping list; and to be added to her monthly newsletter. You can reach Kathy by email at Kathy@myonlinemeals.com . 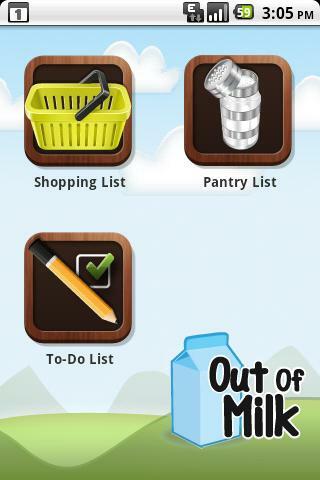 No more forgotten shopping lists with eth Out Of Milk App. Take your Shopping Lists with you everywhere in an intuitive and easy-to-use package. Scan products directly into your Shopping Lists using the integration with Barcode Scanner. An auto-complete database makes adding grocery items a breeze. Shopping List History means that all previously stored items are saved for later use. Necessity proves to be the mother of all invention and no one knows that better than Melanie Hurley, a mother who got nervous when the traditional nail polish she was using on her children ate right through a foam plate! From that day on, Hurley decided that any substance that could eat through foam was unacceptable for her daughters’ fingernails, which would inevitably end up in their mouths. Her quest was on for a safer alternative, and Piggy Paint was born. Piggy Paint is a non-toxic, eco-friendly nail polish that is specially formulated of natural ingredients and proudly made in the USA. It is free of formaldehyde, toluene, phthalates, BPA, ethyl acetate and acetone. Piggy Paint’s hypoallergenic, odorless formula makes it gentle enough for sensitive hands and noses, yet it dries to a hard, durable finish that can easily be removed with Piggy Paint Nail Polish Remover. This unique remover contains none of the solvents that could offend your nose or harm our atmosphere. WIN: 24/7 MOMS and Piggy Paint are giving away a Girls Rule Gift Set; includes Forever Fancy nail polish and Piggy Paint nail polish remover. **We received a complimentary Girls Rule Gift Set for review no financial compensation was received. Q: Who performs more random acts of kindness than anyone else you know? Give the details. Q: When can you jump over three men without getting up? A: In a checkers game. Are you wondering where all the MOMS are every Tuesday night ? They are all hanging out watching 24/7 MOMS Live right from their very own computer winning prizes, chatting and getting some of the hottest MOM tips out there. Don't miss another week of MOM Fun - It all happens every Tuesday night. - Tooth Fairy Fun for your toothless kids. Book Exchange Party: Host a neighborhood or friend book exchange with your children's friends by asking them to each bring their no longer wanted books to exchange with the other children for some fresh reading books. - Create tickets to give to the children for each book they bring and then they can use the tickets to shop for the books they would like to take hone with them. - Serve a simple snack. - Have a time where the kids sit down before they begin shopping with their tickets and ask some book related questions. What is your favorite book to read? who is your favorite storybook character? etc. Library Visit: Take your children to the library to get their first library card and/or check out books. Book Theme Day - Create a fun day around a book theme Such as Junie B Jones and serve her favorite food Spaghetti and meatballs and you could serve a snack in little paper cups of m&ms and pretzels (because Junie B. says she would have that at her party.) But before your kids can eat they must put on plastic gloves and hairnets which you can purchased really cheap at a beauty supply store (Junie B. works in her school cafeteria and LOVES wearing these.) 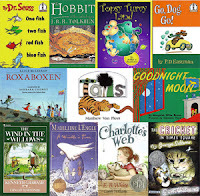 you get the idea theme a day around your kids favorite storybook. For more book party ideas click here. Book Breakfast- Start the day of with books. Decorate the table with books, use big books as place mats, place a new book at each child's seat that they will enjoy reading. Serve green eggs and ham to go with Dr. Seuss famous story or other food ideas from your kids favorite stories. 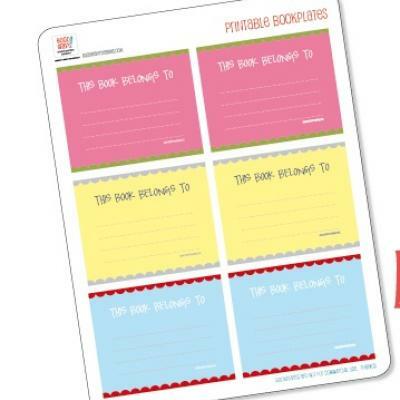 Book plates - Create book plates for your kids so they can place them in their special books. Click here for FREE colorful bookplates you can download and print from Tip Junkie. 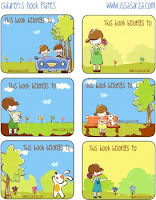 Click here for FREE children's book plates you can download and print for free from Tip Junkie. Hey MOMS, - We all LOVE deals and FREEbies. So, are you telling all of your mom friends about all of the amazing FREE tips, Ideas ans resources you get every week at 24/7 MOMS Live web cast? Are you having Busy mom day, Crazy mom week or in need of a quick recipe check out theses simple Bisquick emergency meals you can serve to your families. Slash the bake time of meat loaf when you make mini-loaves. Meat loaf is now doable for weeknights! Click here for complete recipe from Bisquick. Need a new and delicious idea for chicken breasts? Try an easy skillet dish with Italian pasta sauce and cheese. Click here for complete recipe from Bisquick. 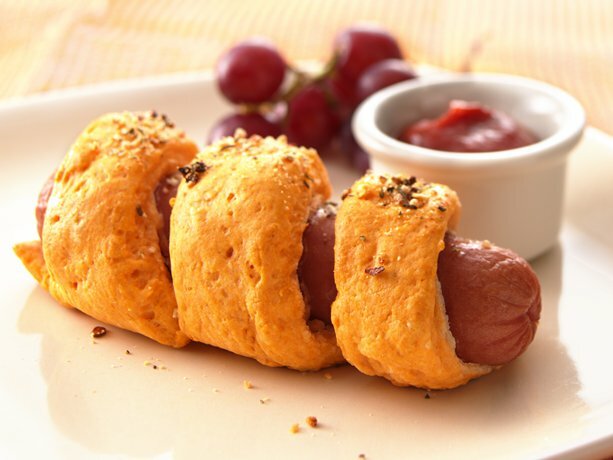 Serve a twist to plain ol' hot dogs. Bisquick® mix creates a fun and tasty stand-in for ordinary buns. Click here for complete recipe from Bisquick. Introducing bareMinerals Skincare. A transformative new way of caring for your skin that’s simple, super-effective and incredibly easy to use. Powered by 100% pure RareMinerals Active Soil Complex, enjoy increased cell turnover, fewer fine lines and wrinkles and the famous bareMinerals Naturally Luminous glow. If that’s something you’re looking for, then this might be the revolution for you. This, luxuriously rich cleanser deep cleans pores and lifts away impurities. Powered by our RareMinerals ActiveSoil Complex, this non-drying formula bursts into a rich lather when activated with water to clean and instantly refresh skin for a soft, smooth complexion. Sulfate free. WIN: 24/7 MOMS and bareMinerals are giving away 1 Deep Cleansing Foam and 1 Purely Nourishing Moisturizer. US entries only and one entry per person. Winner will be chosen on April 2, 2011. **We received a complimentary bareMinerals Deep Cleansing Foam & Purely Nourishing Moisturizer for review no financial compensation was received. Is Your Kid The Next American Artist? The Company Store has Launched the Kids’ Design Contest to Benefit Homeless Children Across the U.S.
Is your child a future artist? Does he or she like to help others? The Kids' Design Contest is geared at inspiring creativity while supporting art education and charitable work among America's youth. The Company Store, celebrating their 100th anniversary this year, will accept original artwork from children 12 years and under. Submissions can be uploaded to www.Facebook.com/CompanyKids. The winning piece will be transformed into a comforter print for their ongoing Buy One, Give One Comforter Donation Program, in which The Company Store donates a new comforter to a homeless child for every comforter sold. Submissions will be accepted on the Facebook page for Company Kids until April 11, 1011(Facebook.com/CompanyKids), the children’s division of The Company Store. Voting will be open to the general public beginning March 28th through April 22nd. Q:To feel rested, how many hours of sleep do you need each night? Q: Why did the volleyball player go to the bank? A: He wanted to know his net worth. Spring Has Arrived and it's time for some new cookie recipes - On the shelf in my pantry sits this ginormous box of Bisquick that I buy almost monthly from Costco. Why? Because I am a Bisquick girl, raised on pancakes, waffles and shortcake made straight from the Bisquick box. A couple years ago I learned a baking secret about Bisquick that might surprise you. That you can actually make homemade cookies using your box of Bisquick. So ready to try a few Springy Cookie recipes using your box of Bisquick? 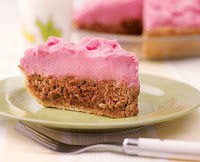 Here are three recipes I found on the Betty Crocker website. Monster cookies appeal to the cookie cravings in all of us. These monsters shout oats, chocolate, raisins and nuts. 1. Heat oven to 375°F. In large bowl, beat brown sugar, shortening and eggs with electric mixer on medium speed, or mix with spoon. Stir in remaining ingredients. 2. On ungreased cookie sheet, drop dough by 1/4 cupfuls about 2 inches apart. Flatten to about 1/2-inch thickness with bottom of glass that has been greased and dipped into granulated sugar. 3. Bake 12 to 16 minutes or until golden brown. Cool 3 minutes; carefully remove from cookie sheet to cooling rack. High Altitude (3500-6500 ft): Bake 11 to 14 minutes. 3. Bake 8 to 10 minutes or until bottoms of cookies just begin to brown. Immediately press 1 milk chocolate candy into top of each cookie. High Altitude (3500-6500 ft) Bake 9 to 11 minutes. Cookie baking with Bisquick® mix eliminates the additional measuring that comes with scratch baking. 1. Heat oven to 375°F. In large bowl, mix butter, brown sugar, vanilla and egg. Stir in Bisquick mix, chocolate chips and nuts. 2. Onto ungreased cookie sheet, drop dough by rounded teaspoonfuls about 2 inches apart; flatten slightly. 3. Bake about 10 minutes or until golden brown. Remove from cookie sheet to cooling rack. High Altitude (3500-6500 ft): Heat oven to 400°F. Have you ever used Bisquick to bake cookies? Do you have a recipe to share with the 24/7 MOMS? Almost two years ago I began meeting weekly with a small group of moms who have become my mom inspiration, filters, confidants, advice givers and prayer partners - Each week we meet we discuss the current mom bible study we are reading together, we share our mom challenges, we cry, we laugh, we share the good the bad and the ugly of life together - and each week I leave knowing I have a group of moms who are traveling the mom journey with me. Why am I telling you about this amazing group of moms I meet with because I want to encourage you if you don't already have a group of moms who are traveling the journey with you to go get your self some mom friends. I know at times it is not easy to find them but don't give up take the initial step to reach out to other moms to offer to host a small mom group in your own home, find a mom group to join such as MOPS ( mothers of preschoolers), or MOMSnext, call your local church to see if they have an existing mom group. When creating your own mom group keep it simple invite a few moms over, serve coffee and a simple treat ( rotate bringing treats with the moms), choose a bible study you are all interested in that does not require a lot of homework and meet on a regular basis. 1 In large saucepan, mix all ingredients except cilantro. Heat to boiling over medium-high heat. 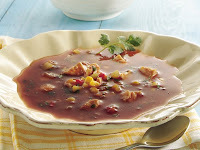 2 Reduce heat to low; simmer 10 minutes or until thoroughly heated, stirring occasionally. Stir in cilantro. 8 Adventures To ‘Spring’ A Smile To Your Face! Be in good cheer…Spring is finally here! Join your favorite preschool pals and welcome Spring with this fully loaded collection of eight episodes at an incredible value! 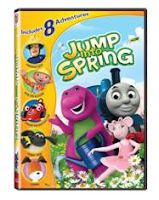 Thomas and Friends, Fireman Sam, Barney, Bob the Builder, Kipper Roary the Racing Car, Angelina Ballerina and Timmy Time are all featured on Jump Into Spring. Whatever the adventure, plenty of lessons in friendship, loyalty and good fun are sure to be learned! Jam-packed with over an hour of fun, the DVD features premiere preschool content including the all-new CG animated series of Thomas and Friends, Angelina Ballerina, Bob the Builder and Fireman Sam. It also provides sneak peeks of two brand-new preschool series making their debuts on DVD in early 2011 – Roary the Racing Car seen exclusively on broadcast on Sprout® and Timmy Time, the all-new hit TV series on Playhouse Disney. WIN: 24/7 MOMS and Lionsgate and HIT Entertainment are giving away a Jump into Spring DVD. **We received a complimentary Jump into Spring DVD for review no financial compensation was received. Q:What was one vacation that lasted too long? Q: Why did the golfers run away from the game? A: They heard there was a Tiger (Woods) on the course. At first glance, a slice of this pie appears to offer something sweet: chocolate filling topped with strawberry whipped cream. But unsuspecting diners are in for a surprise.... It's really a shepherd's pie in disguise! Cocoa, molasses, and barbecue sauce give the meat its chocolaty color, while whipped potatoes infused with beet juice complete the deception. The best part of the prank is that you're also making dinner! April 1st is a day for fooling, so why not make a little mischief this year? Here's an idea for good-humored high jinks that will bring a smile whether you're the trickster or the target. Hungry April fools will be trying hard to wrestle the goods out of one of these special sandwich bags. The reason? The opening is discreetly sealed with a thin line of clear adhesive strip. To set up the prank, zip the bag closed and place a length of double-sided scrapbook tape (we used Zips Ultra Thin Clear Adhesive Lines) on one of the flaps just above the closure. Firmly press the flaps together to make them stick. The joke in this snack-sized scheme is let out of the bag as soon as your target realizes the contents don't match the label. Make the switch by carefully opening a snack bag along the top seam. Empty out the original contents and fill the bag with another edible item (we filled a cheese puff bag with baby carrots). 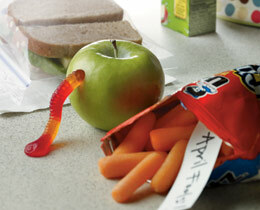 Add a playful message such as "April Fools!," then use a strip of double-sided tape to reseal the bag along the seam. Put blue food coloring in the milk the night before April Fools' Day, and watch your childrens' eyes widen in surprise the next morning. 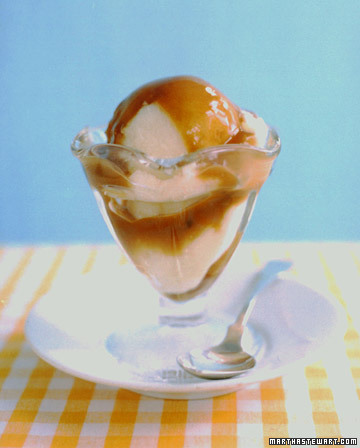 A mashed-potatoes-and-gravy sundae is a good gag for the afternoon, when everyone thinks the jokes are over. Serve things backward; dessert first or breakfast for dinner.Use large bowls and utensils to eat with. Stretch Cling Wrap in the doorway of your front door – when the kids come run in from school they bump into it. Sneak into your victims bathroom and fill their hair-dryer with baby powder. When they turn it on, their head will be pure white just like an old person! Get a small alarm clock and set it for 3:00 a.m. Put it under the victim’s bed so once it goes off they won’t be able to find it. Stuff shoes with tissue paper down in the toe so you can’t get them on all the way. Make good use of a rubber cockroach or spider. Switch out food in wrappers in your child’s lunch. Switch out drawers in dresser.